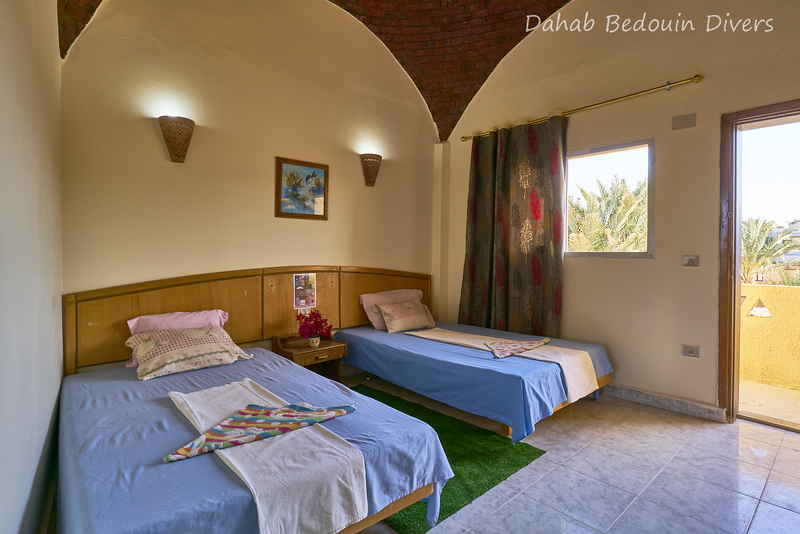 The Bedouin Lodge Hotel is located in Dahab/Mashraba between the seaside promenade and the main road. Shops, restaurants, internet cafes, house reef, and even a real Hamam (Turkish Bath) are only a few minutes’ walk away! 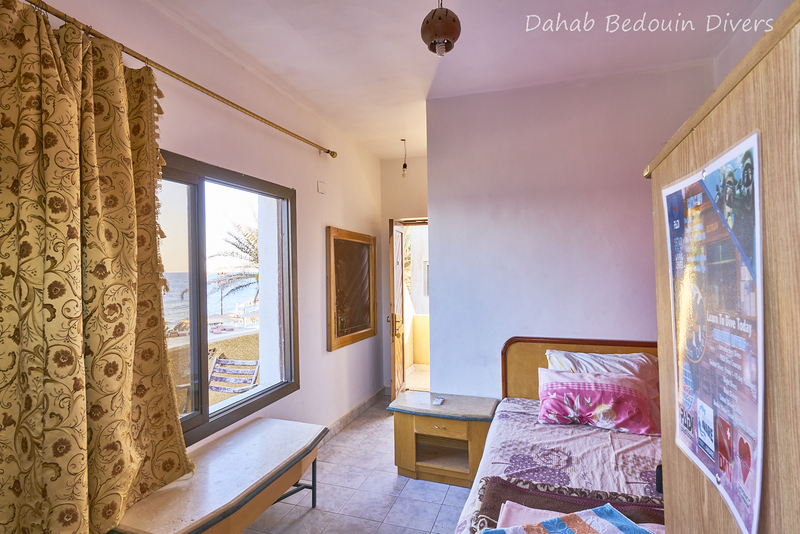 The owners of the Hotel & Dive Centre are a Bedouin family, born and grown up in the desert around Dahab. Later the family settled to Dahab to be able to educate their children and send them to school. 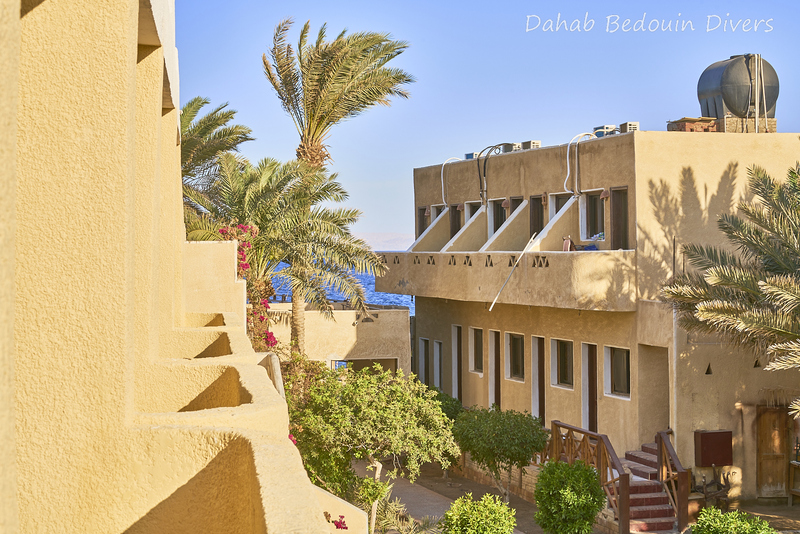 Therefore, all Bedouins working at the Hotel & Dive Centre are familiar with the area around Dahab – which means they are offering unforgettable trips to the Sinai desert & mountains. The hotel consists of 26 double and triple rooms with private bathrooms & air conditioning or fan. 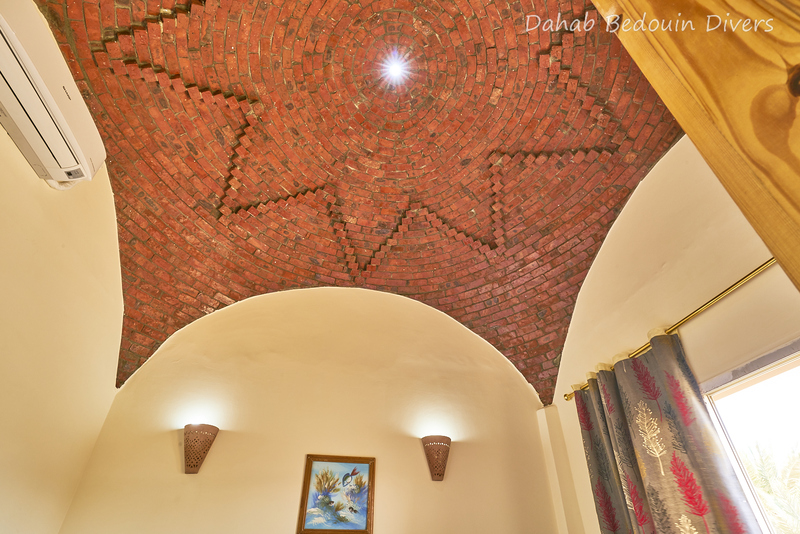 Further to this many of the rooms have traditional Arabic Domed Ceilings a balcony or a roof terrace with sea view. 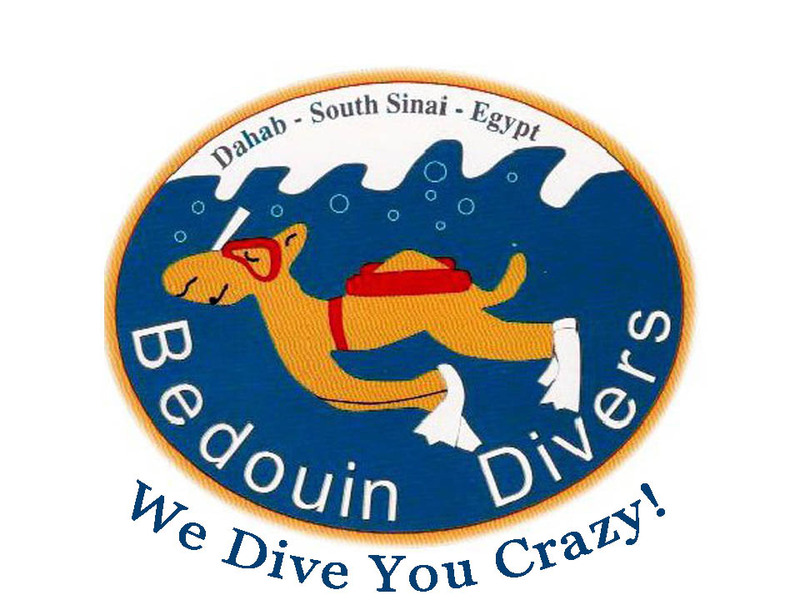 Only a few meters away from your room you will find Bedouin Lodge’s own Dive Centre and the restaurant. Here you can meet friends, divers & other guests exchanging their news & experiences, drink traditional Bedouin Tea and laze away the evening. 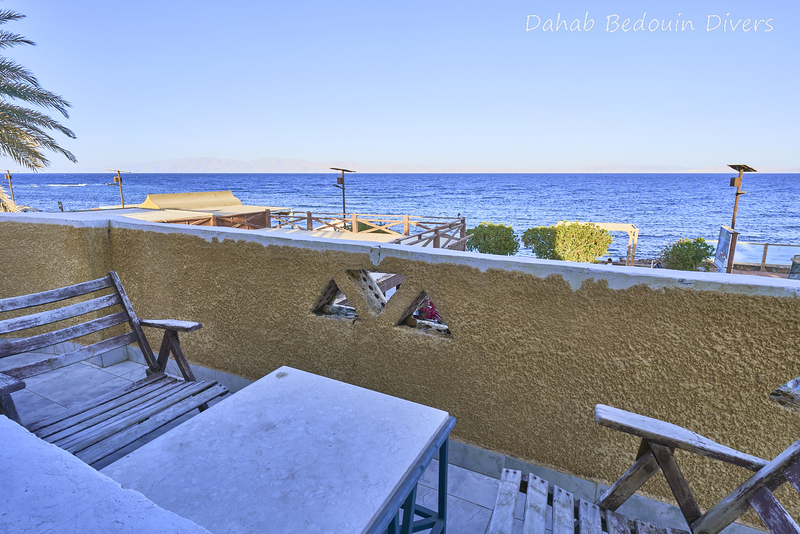 The new roof terrace above the restaurant is perfect for sunbathing and relaxing, directly on the sea front with views over the Gulf of Aqaba and the mountains of Saudi Arabia in the distance.